Gave up on the other trailer will put a axle on it in the off season. I just bought this today for $500. 16x7 10,000 lbs GAWR. Needs a new tire and one light isnt working. where the he!! do you people find these deals?!?!?!?!?!?!?! that same trailer with the same problems around me is just a few hundred below retail. thats a NICE find!! He wanted $800 but I beat em down because of the tire, light and gate. I been searching craigslist for 3 days trying to find a axle and this popped up today. I had to go get it before someone else did. When there cheap like that they sell fast. It was going to cost me $275 to fix my single axle trailer with new parts. So when I seen this I headed out there in the pouring rain with cash. I'm calling the police because you STOLE that trailer. Lawnboy is absolutely right. 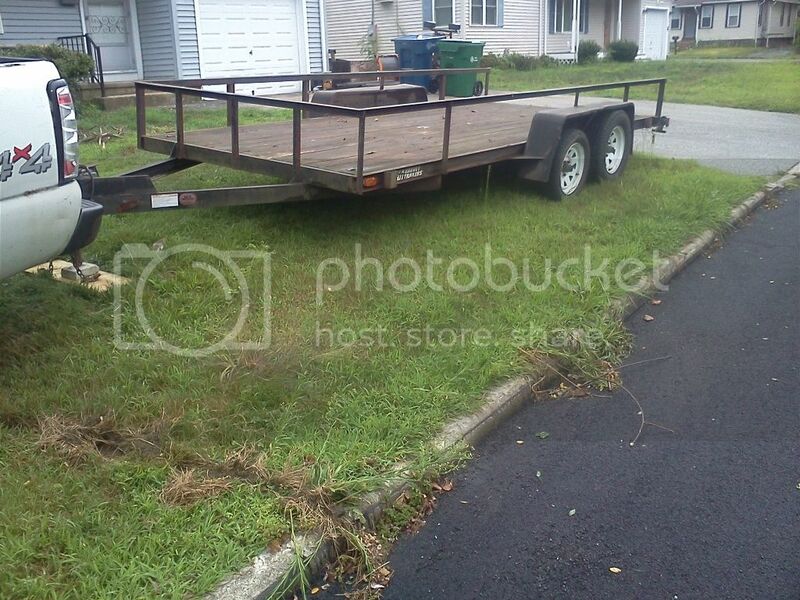 It's unreal what people ask for trailers. Even POS homemade contraptions sell for $500. LOL! Here's a good example. This one is on CL for $375!!! LOL!! Anyone that pays that much for that piece of sh!t deserves what they got. Not the police! I was scared the whole ride home. I had 1 working light, no plate, and a slow leak. I think I mightve broke the other light trying to back it into the yard. You see that trench I dug? Theres a few for sale like that around here too. 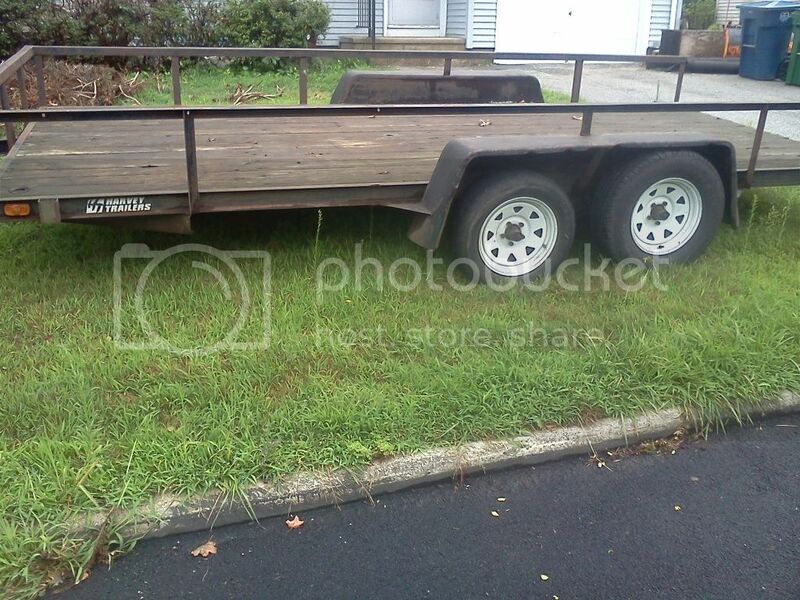 This guy has been trying to sell a homemade trailer for $550 since christmas. He knocked $50 off the price now. you did very well on that trailer ,but might of been able to trade him some lawn service ,it looks like it hasent been done in a while . Yup...I hate you..some new paint and a new tire & that thing will be mint, good find man. Does the $375 include a horse to pull it?